Great Taste, the world’s most coveted and prestigious food awards celebrating the very best in fine food and drink, has announced the Great Taste stars of 2017. Out of over 12,300 products to be judged, five Curious Teas were awarded the top 3-star Great Taste award, meaning five of our teas were described by judges as ‘exquisite and wow’! We are delighted and humbled to be awarded so many stars for so many of our teas. Without further ado, here are our award winning teas from 2017! Nu Er Huan Jasmine Girl Rings, an exceptionally made jasmine scented green ‘art tea’ in the shape of small silver rings from China. Beautiful and strong jasmine fragrance gives way to a lighter sweeter scent on repeated brewing. The liquor is light and smooth with sweet, floral and slightly fruity notes. Wen Shan Bao Zhong (Pouchong) is a delightful floral green oolong (pouchong) from Taiwan. Large twisted leaves produce a light liquor with a floral aroma. Similar to a mellow green tea but without any harshness, the taste is smooth with creamy and floral notes. Gui Fei Oolong is an exquisite and rare high mountain oolong from Taiwan. The leaves of this ‘beauty tea’ are nibbled by little green leaf hoppers. This results in a supremely unique wild honey flavour, with sweet, floral and woody notes. Dian Hong Jin Luo Golden Snail black tea from Yunnan Province of China is produced by rolling tea buds into small golden coils, or snail shapes. The dark amber liquor has a savoury scent of rye and soy. The taste is sweet and malty, like a sweet bread, with notes of cocoa and molasses. 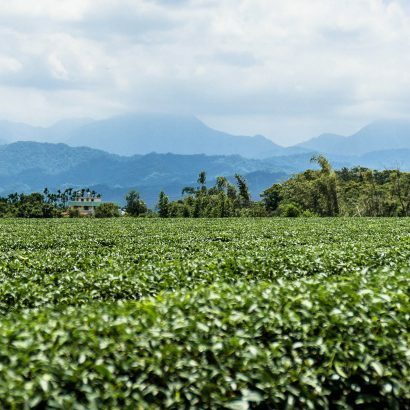 We travel the world in search of the best and most Curious Teas. This is only the second year that we have entered the Great Taste Awards and we could not be more thrilled with the outcome! Close working relationships with our suppliers around the world enables us to source some fantastic, unusual and delicious teas. These five 3-star Great Taste Award winning teas are joining our Organic Milk Oolong and Deep Baked GABA Oolong that both won Great Taste Awards in 2016. 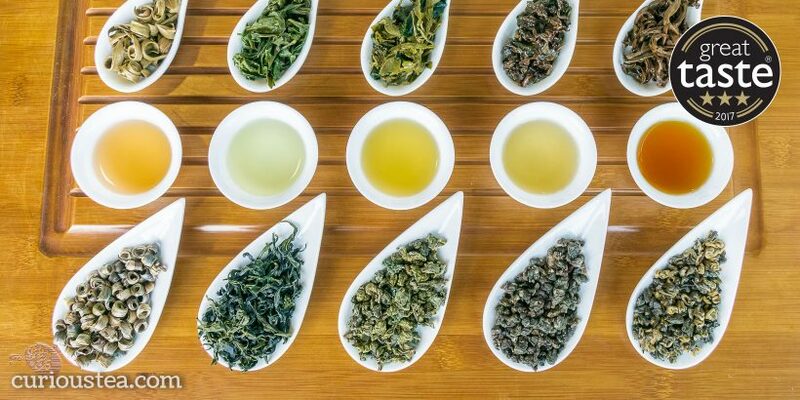 We are excited to be sharing all of these award-winning teas with you. We hope you enjoy your tea adventures! There were 12,366 Great Taste entries this year and of those products, 165 have been awarded a 3-star, 1,011 received a 2-star and 3,171 were awarded a 1-star accolade. The panel of judges included; chef, food writer and author, Gill Meller, MasterChef judge and restaurant critic, Charles Campion, author and chef, Zoe Adjonyoh, baker, Tom Herbert, and food writer and baking columnist Martha Collison as well as food buyers from Fortnum & Mason, Selfridges, and Harvey Nichols. These esteemed palates have together tasted and re-judged the 3-star winners to finally agree on the 2017 Top 50 Foods, the Golden Fork Trophy winners and the 2017 Supreme Champion.